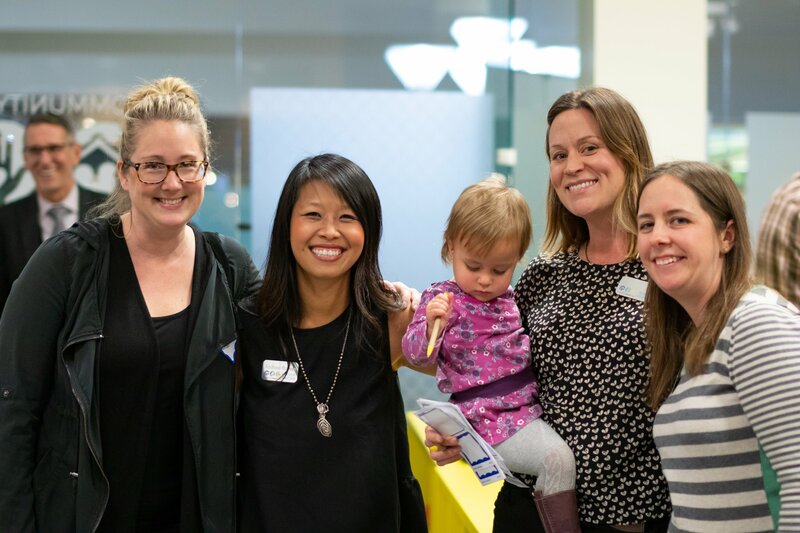 On January 29th, 2019, Community Impact LAB celebrated the opening of its new location at Bayfair Center. The ribbon-cutting ceremony was standing room only, with support from Mayor Pauline Cutter, and the City Council, City Manager Jeff Kay, the Bayfair Center Management Team, the San Leandro Chamber of Commerce, local business owners, and many more Community Impact LAB families. 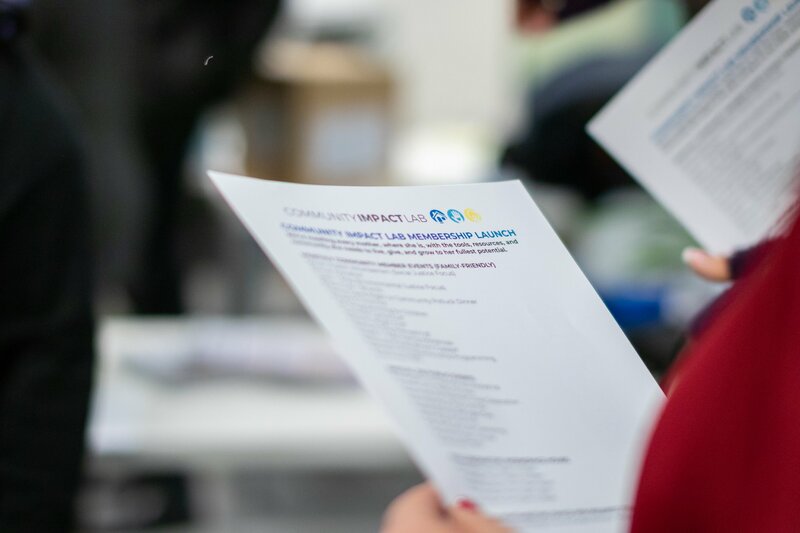 Community Impact LAB (CIL) is a non-profit organization working to address the gender equality gap by removing barriers to access, creating innovative opportunities for growth, and mobilizing families to create positive change for women and girls. CIL uses a project-based approach to further solutions to social, economic, and environmental justice to increase opportunities for women to thrive. 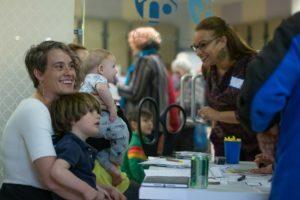 In 2018, CIL mobilized its members and the community to complete 3500+ hours of volunteering, distributed $200,000 in donations to vulnerable women and children, hosted a Community Baby Shower for marginalized expectant mothers, organized the SL March for Our Lives and Families Belong Together marches, partnered with the City of San Leandro to host ResilientSL, launched a food waste reduction campaign, and hosted dozens of events focused on social and justice including the gender pay gap, maternal health and well-being, and equal representation and access to economic opportunities. The new location is designed to empower and equip every woman–no matter where she is on the motherhood journey–with the tools, resources, and the community she needs to pursue her potential. “Women in leadership positions, shifts in archaic stereotypes and social norms, and new spaces that are truly built for women in their families are key to gender equality”, said Community Impact LAB founder and executive director Xouhoa Bowen. “We’re excited to launch a slate of new projects that tackle issues at the core of the gender gap.” CIL’s new collaborative work and event space is equipped with Fiber internet, office equipment, and programming for Social Good projects as well as leadership, well-being, and professional development training. The brightly decorated children’s area with toys and books along with a Mother’s Room help make it easier for moms of preschool-age children to access resources, work remotely, and engage in a supportive community. To become a Community Impact LAB Member and access their programs, resources, and work and event space, check out their website or visit them at their Bayfair Center location. Annual membership dues begin at a $60 tax-deductible donation level and go towards supporting the organization’s mission. a grand accomplishment for the staff and directors and an honor to welcome CIL to our community.